The iCARE Foundation of Hon Babajimi Benson, MHR, through the Bank of Industry (BoI) and Government Enterprise and Empowerment Programme (GEEP) today launched a 2-day ‘Trader Moni’ distribution in Ikorodu. Through the initiative, traders could have access to loans of up to N10,000 at the first instance. Performing the official launch, the DG of iCARE Foundation, Mayor Deen Sanwoola said bringing the traders’ mini programme to Ikorodu was part of Hon Babajimi Benson’s social intervention aimed at funding micro business in Ikorodu Division. Deen, who said nobody in the history of Ikorodu has done such an economic boosting programme, said JB and All Progressives Congress led government has done well in the area of people’s welfare. He assured that the ‘Trader Moni’ programme will help in boosting micro and small scale businesses, petty trading and commercial activities across the country. 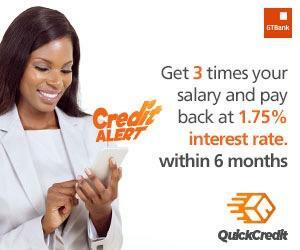 While speaking to the Federal Government agent in charge, he said the beneficiaries would be given a loan of N10,000 each, which would be repayable within six months, adding that any of the beneficiaries that pay back the loan within the stipulated period would qualify for another bigger amount of N15,000 and so on. The programme which is holding at Fun City, beside Zenith Bank Plc, Ikorodu, is having it’s final day on Thursday, 22nd of November. While responding to question, Hon Babajimi Benson said “Bringing ‘Trader Moni’ scheme to Ikorodu is targeted at petty traders, market women, artisans and small scale business enterprises to cater for ultra-micro enterprises. “The policy of the federal government on this programme is to support businesses, not just big business but particularly small, medium-sized businesses and micro businesses. The whole idea is that we want to ensure that we give whatever support to people to alleviate their businesses.” He explained.